Lent is what the forty days leading up to Easter. Lent this year is March 1st, so this Sunday will be the Sunday before Lent. Because Easter or Resurrection Day is the holiest holiday in the Christian faith, many churches and Christians use Lent as a time dedicated to growing closer to God. Many fast or sacrifice something for Lent. Although most churches frown on children fasting for any length of time, Lent is a good opportunity to teach children about dedicating this time to focus on their relationship with God. They can also do limited fasting or sacrifice something to encourage them to deny their flesh. Pretzel Sunday: The Sunday before Lent is called Pretzel Sunday. It’s called that because pretzel were made in Europe many years ago to eat during Lent. The people would fast other foods and only eat bread shaped in the form of someone bowing. To find out more about Pretzel Sunday and the story of the pretzel, click here. Fasting: Talk to the children about fasting. They may be too young for an extended fast, but they can fast a meal once a week, or they could fast one of their favorite treats such as soda or sweets. Matthew 6:16-18 When you go without eating, do not look gloomy like those who only pretend to be holy. They make their faces very sad. They want to show people they are fasting. What I’m about to tell you is true. They have received their complete reward. But when you go without eating, put olive oil on your head. Wash your face. Then others will not know that you are fasting. Only your Father, who can’t be seen, will know it. He will reward you. Your Father sees what is done secretly. Sacrifice: Children don’t have to sacrifice food for Lent. They can sacrifice other things in devotion to God. They might want to give up video games or television. This might be a great time for them to decide not to listen to secular music. Romans 12:1-2 Brothers and sisters, God has shown you his mercy. So I am asking you to offer up your bodies to him while you are still alive. Your bodies are a holy sacrifice that is pleasing to God. When you offer your bodies to God, you are worshiping him. Don’t live any longer the way this world lives. Let your way of thinking be completely changed. Then you will be able to test what God wants for you. And you will agree that what he wants is right. His plan is good and pleasing and perfect. 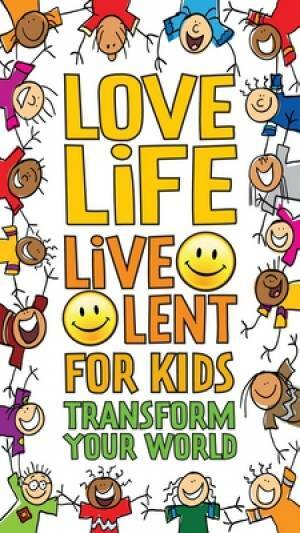 Devotion: Lent is a wonderful time to teach children to devote themselves to God. Talk to them about what to do with the time they would normally use to eat their favorite sweet or play the video game they decided to forego. This is the time they should spend devoting themselves to God with prayer, Bible reading, and worship. Colossians 4:2 Spend a lot of time in prayer. Always be watchful and thankful. This entry was posted in Children's Church, Easter, Holidays, Lent and tagged Lent for Children's Ministry. Bookmark the permalink.